Spiral produced eight videos for the Scotland: A Changing Nation gallery. The film One Nation, Five Million Voices presents a cross section of people giving their personal views on what it means to be Scottish, or live and work in Scotland. The film features a collection of pupils, families, students and adults from all across Scotland and from all walks of life, as well as many Scottish celebrities, musicians and actors. 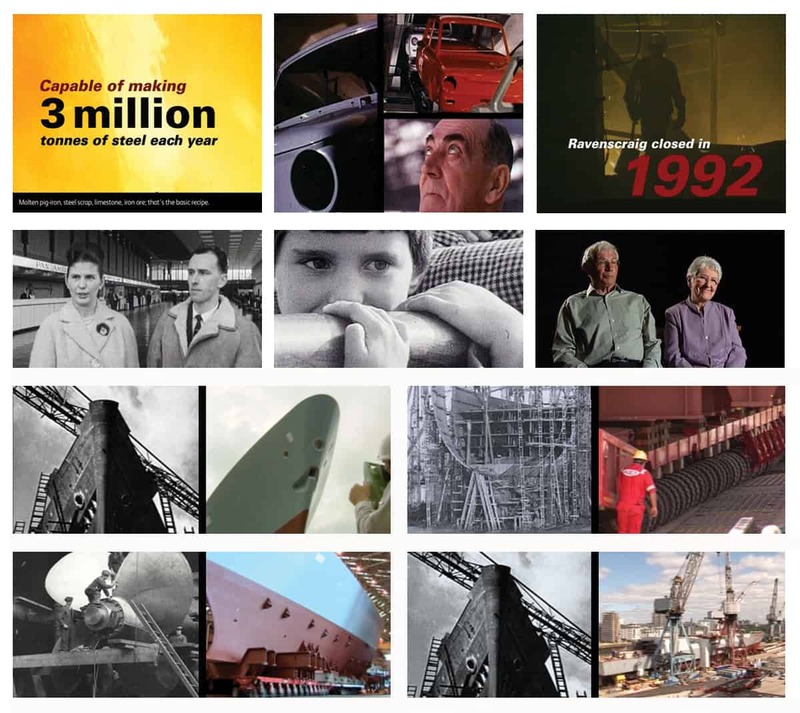 Other videos include programmes about Ravenscraig, Entertainment, Housing, Emigration and Shipbuilding. Spiral worked closely with theNMS client team to research archive film, produce scripts and source interviewees. Spiral produced rough cuts of each video for client evaluation and feedback which informed subsequent edits.